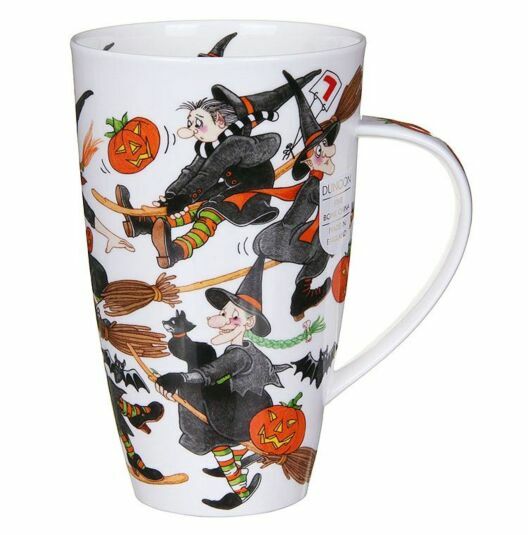 Images of Halloween witches flying on their brooms fill the side of this tall mug, in the Henley shape from Dunoon. 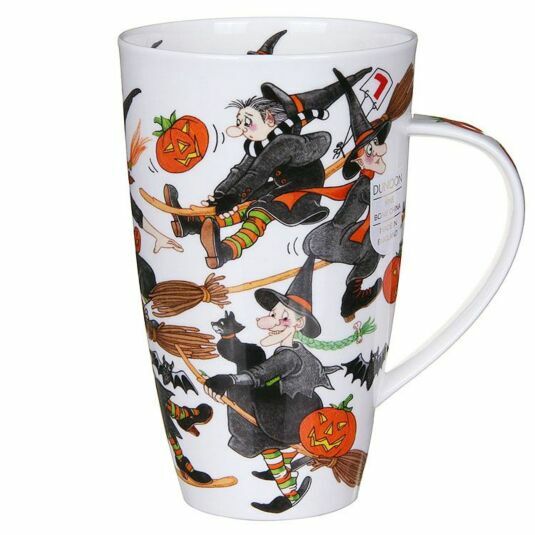 Pumpkins are attached to the brooms and bats are flying, as the witches learn some flying tricks. This design by the talented Cherry Denman is detailed and eye-catching, and the humorous images will keep you amused while you enjoy your trick or treating! A mug for the very thirsty, Henley shape mugs have a capacity of 600ml - that's more than a pint! With decorated handle, all designs are both dishwasher and microwave safe, with the exception of those featuring gold embellishment. Cherry Denman spent many years illustrating children's books, and has been working with Dunoon since 1981 creating a collection of light hearted, entertaining designs such as the 'How To..' range which feature on mugs in the Cotswold shape.